Simply Spray Fake Spray Blood is like no other – this non-toxic, non-flammable aerosol paint creates realistic looking “fresh” blood effects. It can be used on fabric, plastic, rubber and glass and is great for costumes, décor, props and set design when a consistent and real-life look is needed. It is not intended to be used on skin and is not permanent, it can be washed out of most materials. Spray Blood’s unique spray function provides simple ways to create effects such as dripping blood, bullet holes and blood spatter. 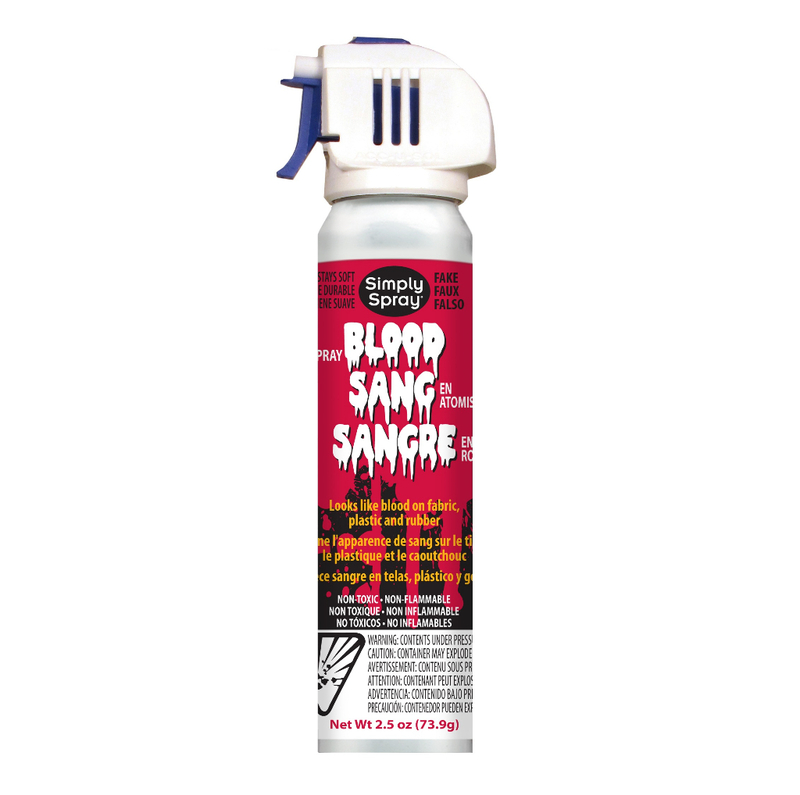 Whether for party costumes, décor, Halloween or stage and set costumes and props, Spray Blood is a unique, easy-to-use solution. Available in 2.5 oz and 10 oz can sizes.